Use our link below & code RealReviews100 for $100 OFF! 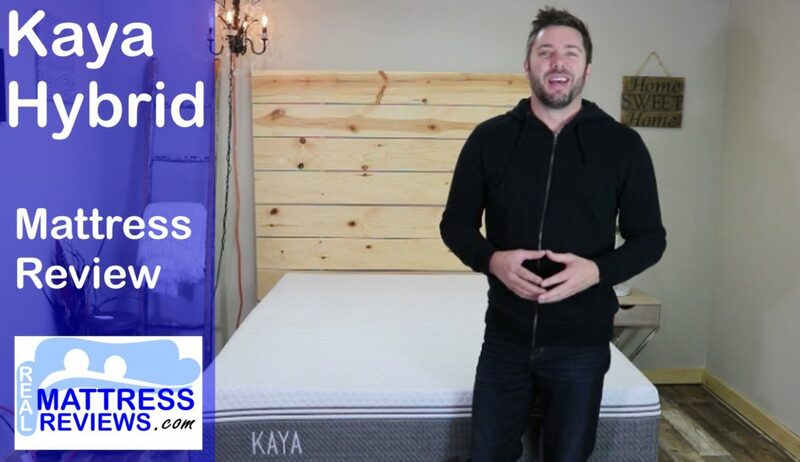 The Kaya Sleep Hybrid Mattress is a nice hybrid option that has a lot of cooling features including a cooling cover. It has a good combination of pressure relief, body conformance and bounce. Very balanced. 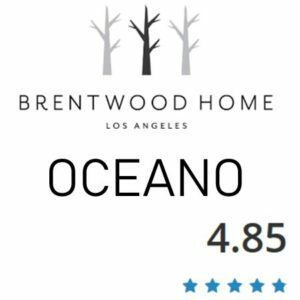 Looking for a cool mattress with more of a floating feeling vs a sinking feeling? 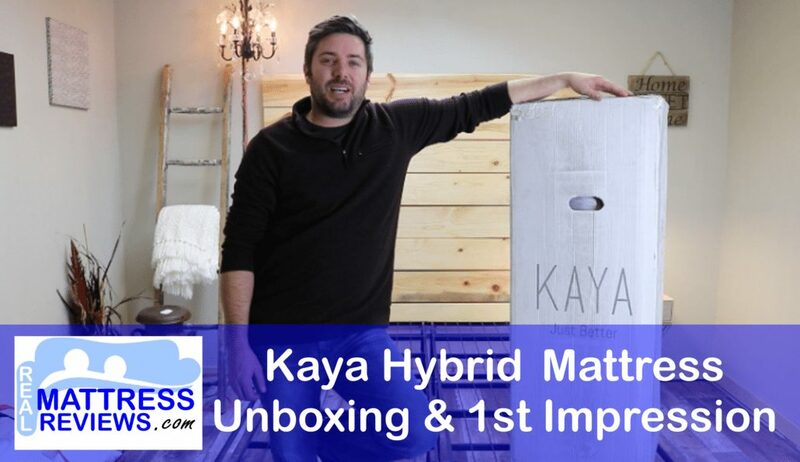 This review takes a look at the new KAYA Sleep hybrid mattress, a new hybrid pocketed coil / foam mattress that recently hit the online mattress market. The Kaya promises high quality materials and construction in a premium mattress that sleeps cool and at an affordable price. 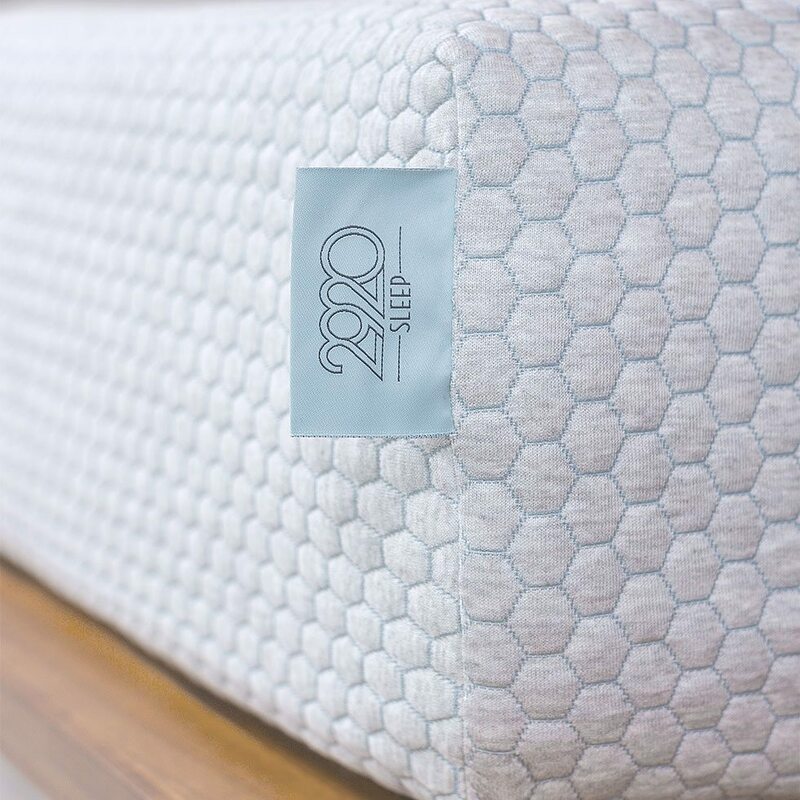 The Kaya Mattress uses a combination of responsive foam, memory foam and pocketed coils to create a balanced feel with good support and pressure relief. The cover is infused with gel so it feel cooler to the touch and circulates air better for cooler sleep. The Kaya is also a hybrid design so it has good bounce making it easy to move around and circulate air better than a foam core. KAYA is a premium, five-layered mattress. It’s topped by a cooling ThermoGel-infused cover, followed by a 5-PCF, high-density, responsive foam and supported by one of the most advanced pocketed-coil systems the world has to offer. Our high quality foams are of the highest-density available in the market, backing our promises of durability, comfort and longevity. Our individually pocketed-coils make sure you’re provided with great edge support and minimal motion transfer, while keeping the mattress cool thanks to airflow. Want a good medium feel – The Kaya has a universal feel that worked well in all positions. The Kaya is ncie and soft on top but firm underneath. It worked well for me at 200lbs in all positions. I can see some people thinking its a little firm. 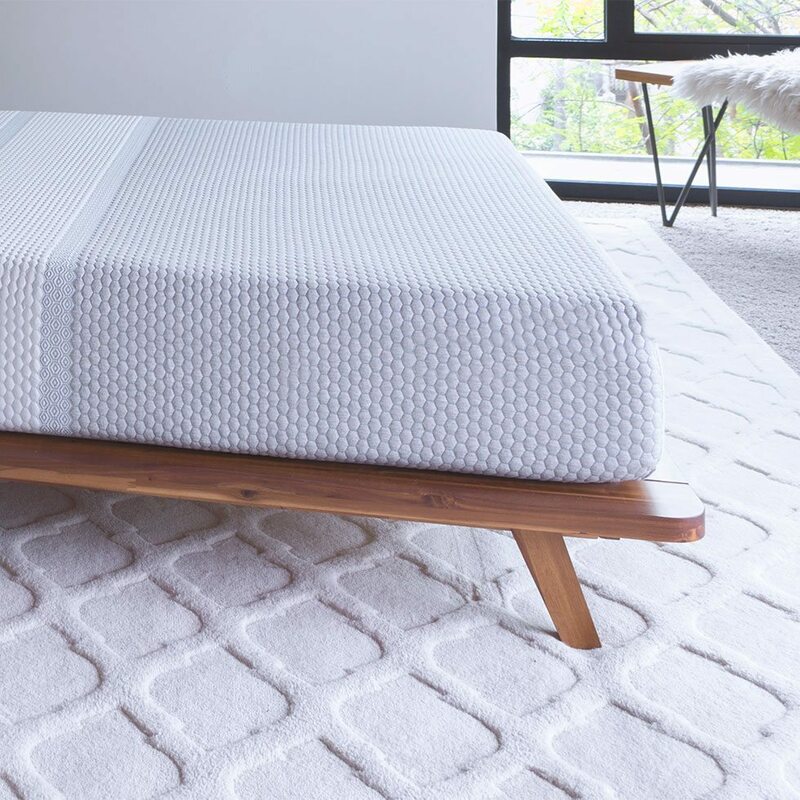 Like a good combo of bounce & body conformance – The Kaya Mattress has very comfortable foams on top that conform nicely and provide good support and pressure relief and the pocketed coils provide good bounce as well. It has a good balance between the two. You have more of a sleeping on the mattress vs a lot of body hug. Are a hot sleeper – The Kaya Bed uses a variety of cooling features including the Thermogel infused cover. The Responsive foam layer is above the memory foam so that stays cooler as well. In addition the coil unit provides better airflow that a foam core would. 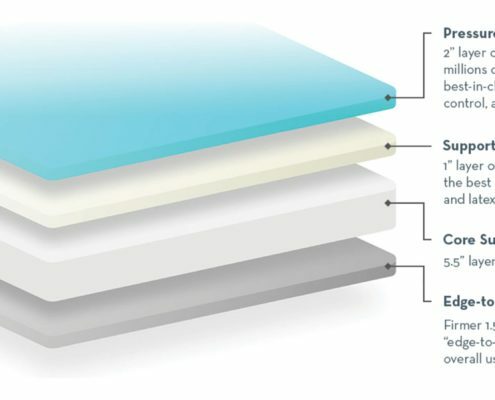 Want something more than a 10″ foam mattress – We see a lot of 10″ foam mattresses coming out with little innovation. 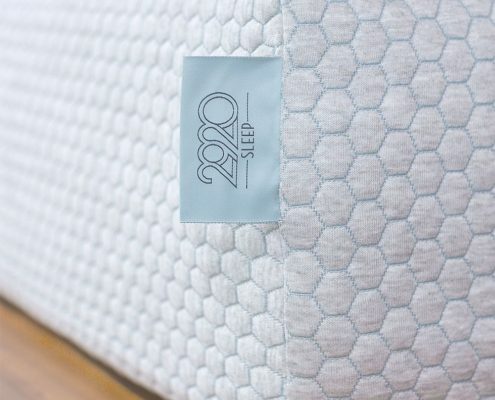 It was nice to see a new design element that is meaningful to the performance of the mattress like the layering they have in the Kaya Sleep Bed. 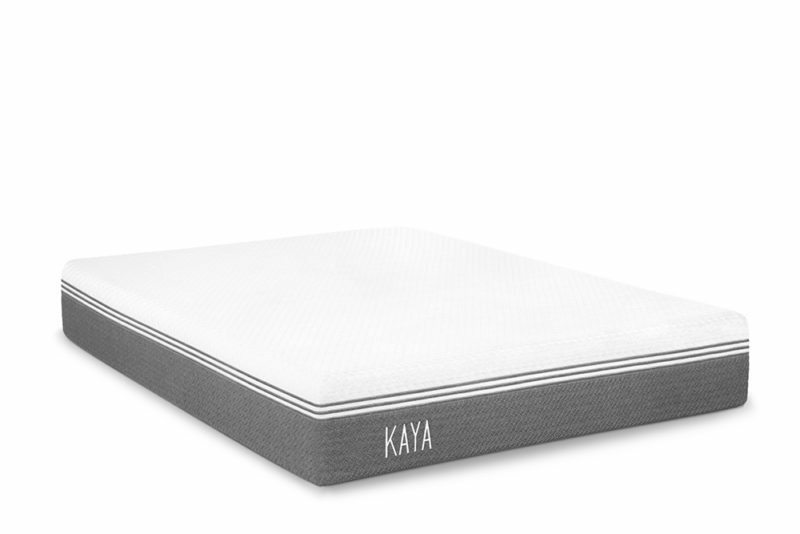 Prefer a traditional memory foam feel – Kaya uses memory foam but its a layer down so you have the pressure relief there but no stuck feeling with the responsive layer on top and coils on bottom. 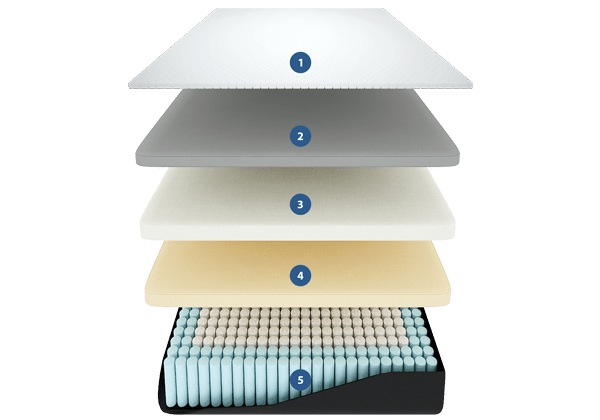 Prefer a foam mattress – I you prefer an all foam feel you might want to look elsewhere since this uses a pocketed coil unit inside. Want something super soft – Kaya is a nice medium but if you prefer soft you will want to look somewhere else. The first thing you will do when you get your Kaya mattress is bring it to the room you will open it in. You do not want to unroll it in another room. Once you are ready to open it you can use the cutter some brands provide, if not use a scissors and be careful not to cut the fabric. As it starts opening it will expand quickly and you will only notice a slight “new mattress smell”. The Kaya mattress is made in the USA so it is not roll packed very long, which helps with minimize off gassing. “Off Gassing” for me is tricky because no matter what brand you are looking at they are going to have a smell. 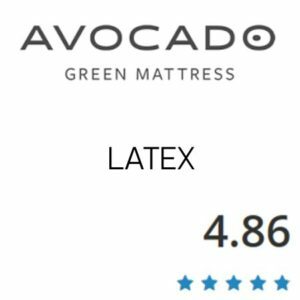 “Natural” or Organic” mattresses often times have the strongest smell, even though people associate them with no off gassing. A smell is normal and no matter what brand you buy is going to have some kind of new smell. In most cases the smell will be gone within 12-36 hours or very faint. I always recommend using a mattress protector so once the mattress airs out use a protector and sheets and at that point you should not experience much smell at all. Created in one continuous knitting process, with no stitching lines, for the best possible feeling. The cover is infused with specialized ThermoGel, to provide cooling when it’s truly needed. By using the advanced technology of a high-pressured padding system, we have infused the ThermoGel into the cover itself, making it cool where it counts. Our top layer is a highly responsive 1-inch foam, to provide the best possible feeling. It’s one of the highest density foams available, with 5-lbs. of support, designed to provide comfort for years to come. Our second layer is made of a 2-inch, 4 lbs. memory foam. 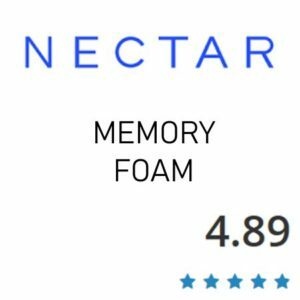 This high-quality memory foam provides optimal relief for pressure points. Coming just below the high-density responsive foam, the structure brings the best out of the memory foam layer. The third layer is a transitional 1-inch, 2 lbs. foam layer, which provides additional support for the above layers and enables deep compression support. 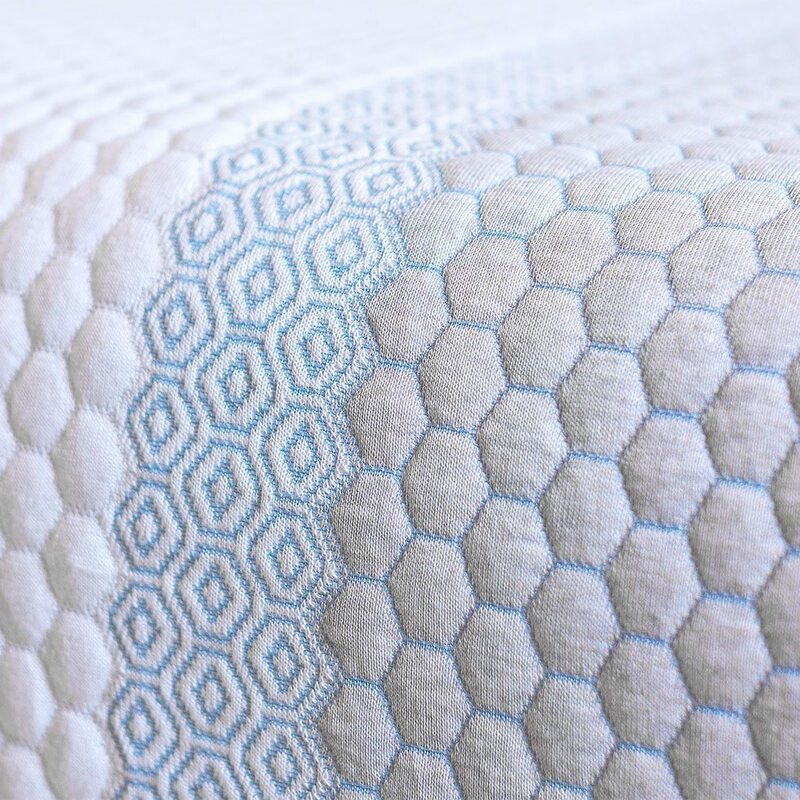 Over a thousand pocketed coils made from top grade steel compose our KAYA mattress base. The pocketed coil base is sandwiched between two layers of stabilizing foams, bringing the best out of the coil system. This top-notch base provides incredible Edge support with almost zero motion transfer and perfect body contouring. The Kaya cover is also stretchy and stays tight on the mattress. 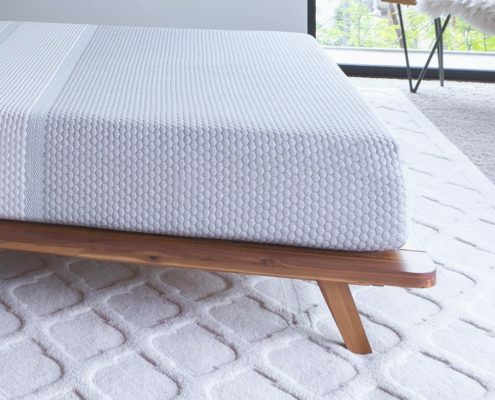 The Kaya Mattress will work great on any solid surface. The floor, platform slats, boxspring/foundation and they now offer an adjustable base as well. Right out of the box I was impressed by the Kaya. Its not overly thick but still uses a great coil unit. It was heavier than 75% of the other bed-in-a-box options which is good. It uses quality materials. When you 1st open the Kaya it was pretty much ready to sleep on immediately. After a couple hours for sure, it expanded pretty rapidly since it has coils. The overall experience on the Kaya was great. It certainly has a nice medium feel that worked well for all sleeping positions. 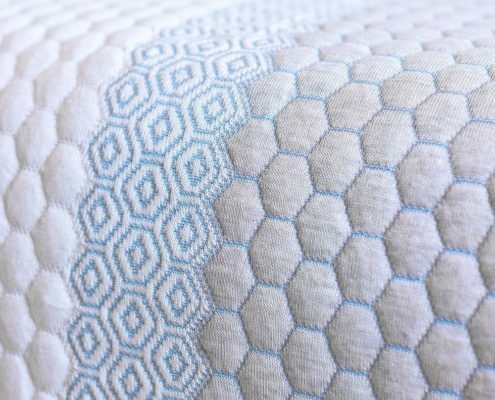 One of my favorite aspects of the mattress was that it has the “responsive” foam layer above the memory foam. So you conform in right away. You still have the pressure relief of memory foam but you are able to move around very easily and the I feel that it sleeps cooler than it would it the memory foam were on top. The Kaya Mattress is also priced very well when considering that it’s a substantial mattress. For me the Kaya felt great too. Being lighter than Ross I tend to like a softer mattress. Because of this I pay close attention to how easy it is for me to conform into a mattress if its not uber soft. The top responsive layer worked great here, it still conforms in nicely for lighter sleepers too. The combination of foams and the order they are in paired with the hybrid coils make the Kaya have a good balance of pressure relief and bounce while still maintaining little motion transfer. The cover is very pretty (although is covered up!) The final verdict for me on the Kaya is that its a luxury mattress with a good price and the overall comfort level should appeal to most people out there. Another thing to note is that its not super thick which I like. Some get too high for our dog to jump up so this was thicker than a 10″ mattress so it performs better but not super thick where its too high off the ground. The Kaya Mattress did not have any issues with sleeping hot. What helps this is the ThermoGel cover and the main thing I think is the fact that the memory foam is down a layer. Memory foam can be the hottest foam if its not gel infused or anything. Also, the coil unit vs a foam core helps air move more freely. Off Gassing: The Kaya did not have any issue with bad off gassing. They are made in the USA so they are not rolled for very long. All of these mattresses will have a “new mattress smell”, even organic ones, that is normal and will go away after a day or two. Although we didn’t film the Kaya on a base you can be sure it will work fantastic on an adjustable base. Use our link & code RealReviews100 for $100 OFF! Shipping – free shipping, it arrives compressed in a box. Typically 2-7 business days. Discounts –Use our link & code RealReviews100 for $100 OFF! Their goal was to build the most premium durable mattress out there. high-density foams to maintain top performance for years. I would recommend trying the Kaya for anyone looking for a hybrid mattress with a medium feel. Thos wanting really soft should not buy it but most people should like the feel. Overall its a great mattress. Realmattressreviews.com is supported by our visitors. Some links on Realmattressreviews.com are referral links, if you use one of the links and buy something we make a small commission, (it costs you nothing) which helps us keep the website running. Disclaimer. Want to learn more? See how it works & how you can save $$$. Hello, my name is Ross. Kayla and I test each mattress and we both report on what we experienced. The mattress industry is my life. As the online market explodes, we strive to stay up to date for our store with all of the current manufacturing trends & what's popular with the consumers. Whether you're buying online or in a store we want to help by sharing our experiences with you to help you make an informed decision and save some money at the same time. Want to learn more about me? Feel free to visit my store page, you can see we run a good honest business & really help people save money and that is what we want to do with our mattress reviews as well.